APPROX 280 ACRES OF MOSTLY WOODED LAND SURROUNDED BY TIGERTON LUMBER COMPANY LAND. 240 CONTIGUOUS ACRES PLUS A 40-ACRE PARCEL ATTACHED TO THE SOUTHWEST. THIS 40-ACRE . . . HERE'S HE BUCK NEST THAT YOU'VE BEEN WAITING FOR! 230 ACES OF WELL MANAGED PINE &AMP; HARDWOOD FOREST TUCKED AWAY AT THE END OF A TOWN ROAD. WITH OVER 30 ACRES OF 3-5 YR . . . EXCITING LAND OFFERING! 52+ ACRES OF WOODS, FARM LAND &AMP; A MEANDERING CREEK. THIS LAND WOULD BE IDEAL FOR A SINGLE RESIDENTIAL BUILDING SITE OR A SUBDIVISION . . .
HARD TO FIND 350+AC OF CONTIGUOUS HUNTING W/CABIN &AMP; POLE BUILDING!SAND POINT WELL, CONV. SEPTIC SYSTEM, ELECTRICITY, APPROX. 10 AC. FOOD PLOTS, HIGH &AMP; LOW LAND, . . .
A RECREATION PARADISE AWAITS WITH THIS 160 ACRES. THE PROPERTY HAS GREAT DEER, BEAR, TURKEY AND GROUSE HUNTING. NICELY GROOMED TRAILS TO DRIVE OR WALK. MATURE HARDWOODS, . . . AVAILABLE FOR A SECLUDED RETREAT OR TO DEVELOP ON THE WOLF RIVER. CLOSE TO SHAWANO. SEWER AVAILABLE. APX. 1,050 FEET ON WOLF RIVER PER SELLER. ZONED: 18 ACRES ZONED . . .
223 ACRE HUNTER'S PARADISE. SECLUDED WOODED ACREAGE W/2 BDRM CABIN &AMP; 4 CAR GARAGE. CURRENTLY NO WELL OR SEPTIC SYSTEM. ELECTRICITY AVAILABLE VIA GENERATOR &AMP; LP . 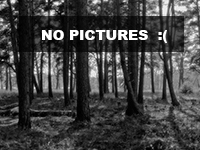 . .
101.24 ACRES OF PRISTINE FOREST! ONCE UNDER THE CANOPY OF THIS OAK FOREST, YOU WILL THINK YOU ARE IN A BUSTLING WILDLIFE WONDERLAND! VERY LITTLE UNDERBRUSH, BEAUTIFUL . . .
GREAT PIECE OF PROPERTY WITH SMALL STREAM RUNNING THROUGH THE NORTH WEST CORNER. 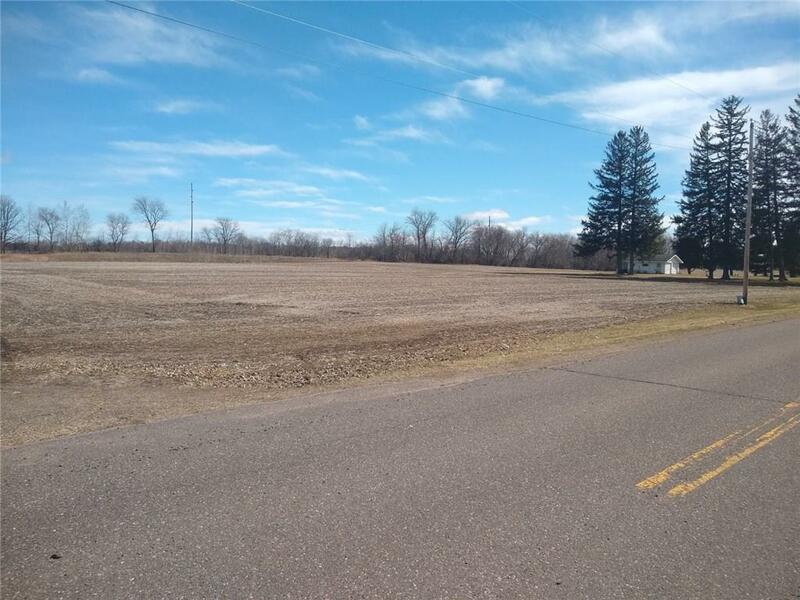 DO YOUR FARMING/RECREATIONAL ACTIVITIES OR BUILD YOUR DREAM HOME ON THIS STRETCHING 75 . . .
FROM PREVIOUSLY HARVESTED ASPEN/BIRCH TYPE TERRAIN TO SOME LOW &AMP; FORESTED WETLANDS TO A SINGULAR 24 ACRE RED PINE PLANTATION READY TO THIN. MULTIPLE TRAILS MOSTLY . . . WOODED ACREAGE AVAILABLE! ENJOY THE WILDLIFE IN THIS AREA FOR GREAT DEER AND TURKEY HUNTING. THERE ARE 3 PARCELS INCLUDED IN THIS SALE FOR A TOTAL OF 95.74 ACRES, PER . . . EXCEPTIONAL TEAL LAKE LOT WITH 239 FEET OF PERFECT ELEVATION, SANDY SWIMMING FRONTAGE AND 5.76 WOODED ACRES. THE PARCEL ADJOINS THE CHEQUAMEGON NATIONAL FOREST, HAS END . . . EXCELLENT HUNTING RECREATIONAL LAND - APPROX 56 ACRES OF HARDWOODS, TROUT STREAM RUNNING THROUGH THE PROPERTY. INCLUDES A 16X14 HUNTING LODGE W/WOOD STOVE HEAT AND 12 . . .
A RARE OPPORTUNITY TO OWN 80AC IN THE BLACK ASH SWAMP. MATURE MAPLE THROUGHOUT MOST OF 80, PLENTY OF BEDDING AREA, DEER SIGN AND HUNTING OPPORTUNITY HERE! ENROLLED IN . . .
80 ACRES, GREAT OPPORTUNITY TO START YOUR OWN MAPLE SYRUP BUSINESS, OR FANTASTIC HUNTING AREA. 2200 MAPLE TREES. THE ACREAGE IS IN THE MANAGED FOREST PROGRAM CLOSED. . . .
RARE 20+ ACRES WITH 1,070 FEET OF PRIVATE RIVER FRONTAGE. INCLUDES 2 CABINS, ARTESIAN FED POND (HAD TROUT) AND A RED PINE FOREST. BUILDING SITE LOCATED 300' FROM THE . . .
80 BEAUTIFUL WOODED PRIME HUNTING ACRES! THIS LAND IS LITTERED WITH TROPHY DEER. ZONED PRODUCTIVE FOREST LAND. LOCATED JUST MINUTES AWAY FROM HWY 10. CONDITIONAL USE . . .
APPROX. 31 ACRES WITH FRONTAGE ON HWY 57. THE LAND IS LOCATED IN THE TOWN OF SCOTT AND IS ZONED FOREST LAND. IT IS HEAVILY WOODED AND HAS GREAT DEER AND TURKEY HUNTING. . . .
80 ACRES OF PROPERTY NEAR WABENO. LOCATED AT THE END OF AIRPORT RD. PROPERTY IS BORDERED BY NATIONAL FOREST ON ALL SIDES, VERY PRIVATE. ALL WOODED WITH RED PINE . . .
A RARE FIND!! HERE IS YOUR CHANCE TO BUY 33 WOODED ACRES JUST MINUTES EAST OF RIVER FALLS. ALL 33 ACRES ARE IN THE MANAGED FOREST PROGRAM UNTIL 12/31/2026. THERE ARE . . . SO MANY POSSIBILITIES WITH THIS LOCATION. 64.97 ACRES OF LAND (PER ACCESSOR), AVAILABLE FOR YOUR FUTURE PLANS. COMBINATION OF WOODED AND OPEN LAND, AND ALL OF IT IS OPEN . . . EXCELLENT HUNTING PROPERTY! 47+ ACRES OF MIXED HARDWOODS AND CONIFERS SURROUNDED ON THREE SIDES BY PUBLIC LAND PROVIDING ENDLESS HUNTING OPPORTUNITIES. PROPERTY IS SET . . .
120 ACRES OF LAND WITH A METICULOUS CABIN AND MAPLE SYRUP BUILDING. THIS WELL ORGANIZED PROPERTY OFFERS VARIETY : COZY CABIN(PROPANE AND A GENERATOR), MAPLE SUGAR . . . PERFECT LOCATION FOR YOUR DREAM HOME ON 27 ACRES SURROUNDED BY NATURE WITH TWO PONDS. DRIVEWAY ALREADY IN. LESS THAN 5 MINUTES TO SHAWANO. EXCELLENT HUNTING. SEWER AND . . . LIST PRICE IS $175,000 WITH AN OPENING BID OF $95,000. PROPERTY MAY BE SOLD ANY TIME PRIOR TO EVENT. OFFERS ARE SUBJECT TO SELLER'S APPROVAL. ALSO AVAILABLE BULK-3 LOTS . . . THE ULTIMATE MAN CAVE! LARGE STEEL BUILDING MADE OF 2' X 6' CONSTRUCTION STORES ALL YOUR TOYS AND EQUIPMENT AND HAS 768 SQ FT OF FINISHED SPACE, INCLUDING FULL KITCHEN . . . AWESOME 92.65 ACRES IN THE NORTHWOODS. HUNT, SNOWMOBILE, ATV OR TAKE A WALK TO FISH IN THE MENOMINEE RIVER. LOTS OF CHOICES HERE! MAKE IT YOUR HOME, VACATION OR HUNTING . . . THIS IS A PICTURESQUE LOT ON BEAUTIFUL STAR LAKE. THERE IS A NEW SCREEN HOUSE NEAR THE WATER'S EDGE AS WELL AS A DOCK WITH A BENCH. WALK THIS WOODED LOT AND FEEL THE . 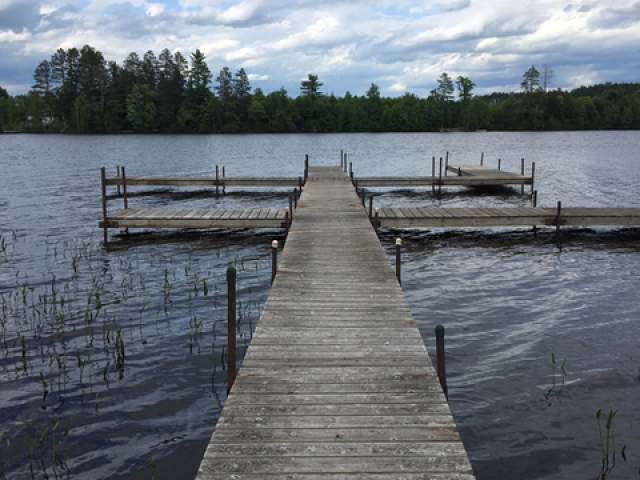 . .
BUILDABLE ACREAGE WITH OVER 600 FOOT OF WATERFRONT PER SELLERS ON WEYAUWEGA LAKE. MUNICIPAL WATER AND SEWER IS LOCATED ON PROPERTY PER SELLERS. THIS LAND CONSISTS OF 2 . . .
YOU CAN WAIT A LIFETIME TO GET AN OPPORTUNITY TO OWN A PROPERTY LIKE THIS. SURROUNDED BY 1000'S OF ACRES OF PUBLIC LAND W/NATIONAL FOREST ROAD ACCESS. 80 ACRES-BOTH 40'S . . .
AMAZING 40 ACRES OF VARIOUS TERRAIN MAKE THIS A HUNTER DREAM PROPERTY. ROAD &AMP; TRAILS TRAVERSE THE PROPERTY. THREE LARGE PLANED FOOD PLOTS SURROUNDED BY MULTIPLE . . .
78.36 +/- WOODED ACRES LOCATED IN A HUNTING SWEET SPOT 8 TO 9 MILES NORTH OF THORP &AMP; 7 TO 8 MILES SOUTH OF GILMAN W/GOOD ROAD FRONTAGE ACCESS. PROPERTY HAS A GOOD . . .
68.28 ACRES (10 TO 15 ACRES AG LEASED OUT) THE REMAINDER WOODED/UNDEVELOPED IN A HUNTING SWEET SPOT 8 TO 9 MILES N OF THORP &AMP; 7 TO 8 MILES S OF GILMAN W/GOOD ROAD . . .
NO NEIGHBORS! ENJOY COMPLETE TRANQUILITY ON THIS LARGE PARCEL WITH TOWERING PINE AND HARDWOOD FOREST. THIS PROPERTY BACKS UP TO THE COUNTY FOREST AND HAS SOUTHERN AND . . .
40 ACRES OF GREAT HUNTING LAND LOCATED JUST OFF BAYSHORE ROAD IN DOOR COUNTY! LOCATED JUST 30 MINUTES NORTH OF GREEN BAY AND 25 MINUTES SOUTH OF STURGEON BAY! PROPERTY . . .
GREAT AG LAND NEARBY BOYCEVILLE SCHOOLS, ALMOST 29 IS AG, 2 IS UNDEVELOPED, AND 4 IS AG FOREST. HARD TO COME BY! 5 ACRES IN THE MIDDLE (DIFFERENT PID) HAS A MOUND SYSTEM . . . IF YOU'RE LOOKING FOR A NICE 40 ACRE PARCEL FOR RECREATION YOU MUST WALK THIS 40. PROPERTY IS ALL HIGH GROUND WITH MANY VARIETIES OF TREES. THIS 40 WOULD BE AN EXCELLENT . . .
GREAT RURAL PROPERTY WITH WOODED WITH PINES ON THE FRONT PORTION OF PROPERTY AS WELL AS MIX OF HARDWOOD AND MANY SPECIES OF TREES. GREAT HUNTING WITH SOME FLAT LAND ON . . .
80 ACRES IN A GREAT LOCATION BETWEEN SPOONER AND HAYWARD. THIS PROPERTY IS NOT IN ANY GOVERNMENT FOREST PROGRAMS SO IT OFFERS MANY POSSIBILITIES INCLUDING HUNTING, . . .
BEAUTIFUL QUIET SPOT TO BUILD A VACATION CABIN/HOME ON PREMIER MOOSE LAKE. LOTS ARE NICELY WOODED GIVING YOU PRIVACY. 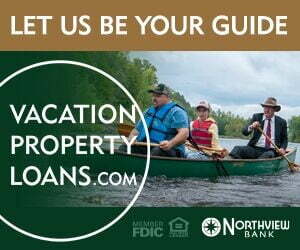 LOCATED IN THE HEART OF THE CHEQUAMEGON NATIONAL . . .
CHUTE POND=421 ACRE/19' DEPTH 300+ FEET WATERFRONT LOT ON CHUTE POND TOWN OF MOUNTAIN THIS PHENOMENAL, EXTRAORDINARY LOT, ESTABLISHED DRIVEWAY, ON SITE UTILITY=WPS . . .
TOWNSEND- OCONTO CTY EXSPLOSION LAKE- BEAUTIFUL WOODED LOTS. EXSPLOSION LAKE ADJOINS 4 OTHER LAKES INCLUDING HORN LAKE, LITTLE HORN LAKE, RESERVOIR POND- THIS LOT IS . . . LIST PRICE $99,900 W/AN OPENING BID $64,900. PROPERTY MAY BE SOLD ANY TIME PRIOR TO EVENT. HUNTER'S PARADISE NEAR THE POPULAR SHAWANO LAKE. PERFECT LOCATION FOR ACTIVE . . .
BEAUTIFUL WOODED 1.69 ACRES WITH 190 FEET OF FRONTAGE ON MARY LAKE, POWER AT THE ROAD AND DRIVEWAY IS IN. BUILD YOUR HOME OR CABIN ON THIS 154 ACRE LAKE WITH A DEPTH OF . . .
BUILDABLE 40 ACRE PARCEL MOSTLY WOODED WITH LILY RIVIER RUNNING THROUGH IT. THE PROPERTY IS FAIRLY SECLUDED AND HAS AN ABUNDANCE OF WILD LIFE INCLUDING DEER, BOBCAT, . . .
38.89 ACRES OF GREAT HUNTING LAND, ALSO BUTTS UP TO NATIONAL FOREST. INCLUDES A JAYCO 30FT 5TH WHEEL TRAVEL TRAILER WITH ELECTRIC RUN TO TRAILER. NO SEPTIC OR WATER. . . . LIST PRICE IS $95,000 WITH AN OPENING BID OF $65,000. PROPERTY MAY BE SOLD ANY TIME PRIOR TO EVENT. OFFERS ARE SUBJECT TO SELLER'S APPROVAL. ALSO AVAILABLE BULK-3 LOTS . . .
WHAT A DEAL THIS PROPERTY IS! 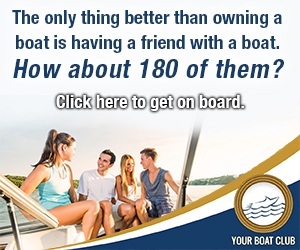 ENJOY UNLIMITED RECREATIONAL OPPORTUNITIES! WHITING CREEK FLOWS THROUGH THE SOUTHERN PORTION ON THE ACREAGE &AMP; NICOLET FOREST BORDERS . . . ALMOST 40 WOODED ACRES OF BEAUTIFUL TERRAIN WITH GREAT VIEWS OF THE PESHTIGO RIVER. ENJOY THIS ENCHANTED PARCEL FILLED WITH WILDLIFE. ADDITIONAL WATERFRONT ACREAGE . . .
120 ACRES CLOSE TO SUPERIOR...LEVEL TO ROLLING TERRAIN. CONNECTED TO COUNTY LAND. SHOULD BE EXCELLENT HUNTING. A CREEK FLOWS THROUGH THE CENTER OF THE PROPERTY &AMP; A . . .
ON CROOKED LAKE RD...."COPPER MINE" AREA. MIXED TALL NORWAY &AMP; HARDWOODS WITH SOME LOW WETLANDS ON THE SOUTH BORDER WITH REMAINING BEING HIGH GROUND. DRIVEABLE ACCESS . . .
ROBERTS LAKE FOREST COUNTY JUST UNDER 100' OF FRONTAGE NICELY WOODED. POWER ON THE ROAD SOIL TEST ON FILE. ROBERTS LAKE IS APPROX. 435 ACRES IN SIZE AND 32 FEET DEEP. . . . THERE ARE ONLY A FEW LOTS REMAINING! BEAUTIFUL LOT #18 ON NON-WAKE BEAR LAKE FOR PIECE AND QUITE WITH 111 FEET OF LAKE FRONTAGE ON 1.3 ACRES. NICELY WOODED LOT, GREAT . . .
WELL WOODED AND GENTLY SLOPED LOT TO THIS POPULAR LAKE CLOSE TO NATIONAL FOREST AND VERY PRIVATE. IF YOU WANT REMOTE....THIS IS IT. KERN LAKE IS A CRYSTAL CLEAR WATER . . . THESE 2 ADJOINING PARCELS OF WOODED LAND ARE PERFECT FOR HUNTING, CAMPING OR BUILDING A CABIN OR HOME. 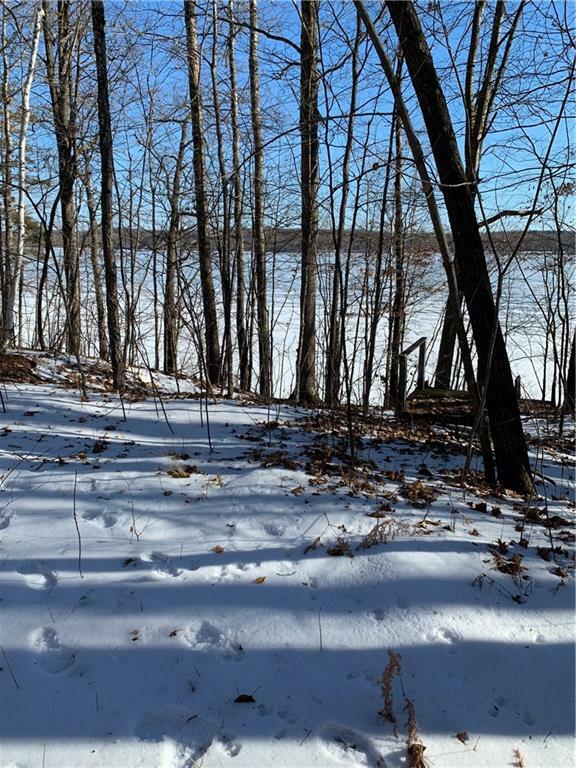 LOCATED JUST SW OF CRANDON BETWEEN LAKE METONGA &AMP; MOLE LAKE. . . .
PRIME LAKE LOT ON THE HIGHLY SOUGHT AFTER CLAM FLOWAGE! HEAVILY WOODED FOR PRIVACY. THIS LOT IS AT THE VERY END OF THE ROAD. BURNETT COUNTY FOREST LAND ADJOINS IT ON 2 . . .
A UNIQUE PIECE OF LAND THAT BORDERS STATE LAND AND THE CHEQUAMEGON NATIONAL FOREST IT IS 1/2 MILE FROM CHIPPEWA FLOWAGE BOATING LANDING, NEW SNOWMOBILE TRAILS AND CLOSE . . . WASTE AVAILABLE TO SITE = TO BE DETERMINED. THIS BEAUTIFUL 1.6 ACRE LOT W/100' OF WATER FRONTAGE ON FAY LAKE IS AWAITING FOR YOU TO BUILD YOUR DREAM HOME OR CABIN! FAY . . .
TOWN OF MOUNTAIN - OCONTO COUNTY. APPROX 10 ACRES OF BEAUTIFUL WOODS WITH OVER 340 FEET OF FRONTAGE ON THE NORTH BRANCH OF THE OCONTO RIVER. GREAT AREA VERY PRIVATE. . . .
JUST UNDER 50 ACRES TOTAL! A HUNTERS DREAM ALONG WITH A BEAUTIFUL BUILDING SITE, JUST UNDER 7 ACRES ZONED RESIDENTIAL LOCATED BACK OFF THE ROAD ALLOWING PRIVACY WITH . . .
ONLY 14 MILES FROM LAMBEAU FIELD. VERY SHORT DRIVE TO GREEN BAY. RARE SUAMICO RIVER FRONTAGE. MATURE WOODED LAND - BEAUTIFUL!! 2ND ADDITION OF RIVER FOREST HILLS . . . LIST PRICE IS $74,900 WITH AN OPENING BID OF $44,900. PROPERTY MAY BE SOLD ANY TIME PRIOR TO EVENT. OFFERS ARE SUBJECT TO SELLER'S APPROVAL. MAKE THIS YOUR HUNTING . . . Centuries ago, much of Wisconsin was covered by forests. In the 19th century, many of the natural forests in the southern part of Wisconsin were cleared for the purpose of establishing farms. In the 19th and early 20th centuries, Wisconsin's northern forests were frequently harvested for timber for lumber and paper products. Consequently, many of the older trees living in the state are between 100 and 125 years old. Since the birth of the conservation movement in the 1920's and 1930's, Wisconsin has reportedly gained forested land during most years, instead of losing it to deforestation. This gain can largely be attributed to the conservation movement and careful use of sustainable tree harvesting methods. Wisconsin forests are comprise of coniferous and deciduous trees species. Coniferous species typically do not shed their leaves. They are often cone-bearing with slender, needle-like leaves. Wisconsin is home a wide variety of coniferous species including the following: Northern White Cedar, Red Cedar, Balsam Fir, Hemlock, Jack pine, Red pine (Norway pine), White pine, Black spruce, White spruce, and Tamarack (American larch). Black ash, Green ash, White ash, Mountain ash, Big-tooth aspen, Quaking aspen, Balm of Gilead (balsam poplar), Basswood (linden), Beech, Blue beech (hornbeam), Paper birch, River birch, Yellow birch, Box elder, Black cherry, Choke cherry, Pin cherry, Eastern cottonwood, American elm, Rock elm, Slippery elm (Red elm), Hackberry, Bitternut hickory, Shagbark hickory, Ironwood (hop hornbeam), Juneberry (Service berry), Black locust, Honey locust, Red maple (soft), Silver maple (soft), Sugar maple (hard), Black oak, Bur oak, Chinkapin oak, Northern pin oak (Hills oak or Jack oak), Red oak, Swamp white oak, White oak, Wild plum, Black walnut, and Willow. The Wisconsin Department of Natural Resources estimates that 32 percent of the forested lands in Wisconsin is owned by a government entity, such as the federal, state, local or tribal government. A large percentage, 57 percent to be exact, is said to be owned by individual, private landowners. Private corporations and industry reported own the remainder of the forested land here in Wisconsin. The maple-basswood variety of forest is the most prevalent type of forest in Wisconsin. Forest land is valuable for a variety of reasons. Timber companies can harvest the wood for the production of furniture, paper, toilet paper, paper towels and newspaper. Pines, balsam firs and cedars are typically in the category of soft woods while maple, oaks and birch trees are characterized as "hard" woods. Some of the timber, particularly some of the softer woods, may be used to produce wood pulp or fiber, which is amazingly used to make items not commonly thought of as wood products, such as football helmets. Other groups place great importance in conserving these forest land for the benefit of our environment and future generations. Conservation movements also focus on the forest as a habitat for endangered plant, animal and bird species. Some people seek forested land for the purpose of outdoor recreation and relaxation. Often time this purpose can co-exist with the mission of conserving the land. Outdoor recreation is big business in Wisconsin with countless of acres of forests and lakes devoted to hiking, boating, hunting, cross-country skiing, biking and more. Residential and resort properties allow people the opportunity to truly commune with the beauty of the woods here in the Wisconsin wilderness. In fact, private property owners can enter into legally binding agreements that they will only utilize the land in environmentally approved ways. Such documents, referred to as conservation easements, are legally binding on both current owners and any property owners who might acquire an interest in the land in the future. Acquiring a piece of property adjacent to a conservation easement can be a real windfall for new property owners as they can be assured that the land neighboring their land will be protected and not used for purposes that might damage the land or detract from its natural beauty. For these, and other reasons, forested parcels of property can be very valuable here in Wisconsin. Make sure you set out with a clear idea of how you want to use the land. If you want to use the property to develop it into a resort or a vacation home property, you may look for very different characteristics than if you want to harvest the timber for a profit. Having a clear idea of how much you can spend on the property, how much development might cost and how much you will pay in taxes on the property. Certain uses of the land may produce tax benefits, so be sure to sit down with your financial tax advisor to get a clear understanding of your situation. There are a myriad of considerations when planning your budget, so make sure you sit down with an attorney, an accountant and a real estate professional before purchasing so that you aren't faced with unexpected expenses later. Be careful to examine the existing zoning regulations of the property to ensure that your intended use of the property does not violate any existing restrictions. Certain properties may be protected as a result of being identified as environmentally vulnerable areas. Make sure that you are fully informed about any conservation easements or governmental regulations that may impact your use of the property. Are there sources of water available on the property? Even though you love a property doesn't mean others will. 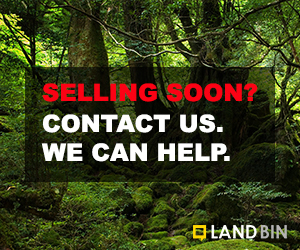 Carefully consider whether the re-sale value of the property will remain high, particularly if you intend to clear or develop the forested property. These are but a few of the things you will want to think about before investing in forest land in Wisconsin. Forested properties in Wisconsin are highly desirable as a result of their diverse uses. While property values have traditionally appreciated, the prices remain much more reasonable than comparable properties closer to the eastern and western seaboards of the United States. Wisconsin forest lands are extraordinary natural resources. Whether you intend to use the property to generate a profit, or you simply want to build your dream vacation home here, why not get the process by placing a call to a real estate professional at LandBin.com today? Talk over your options and begin to look at all Wisconsin forests have to offer today!